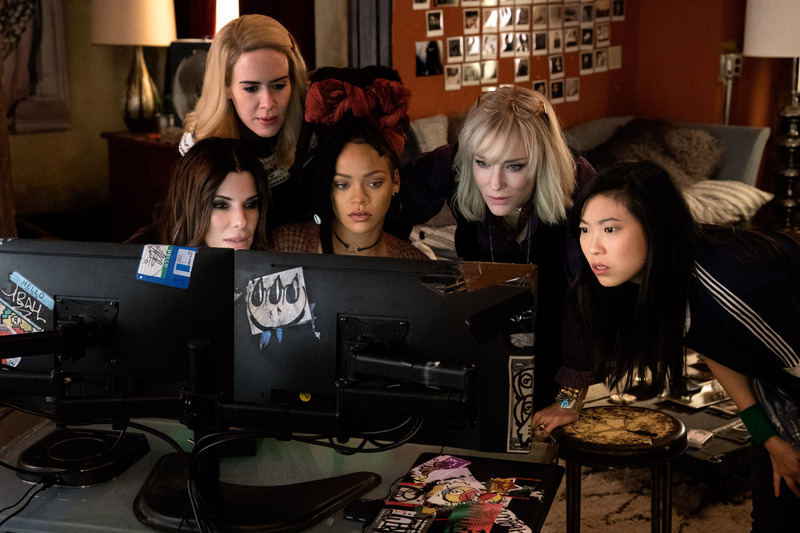 On its exterior, "Ocean's 8" is a cool and slick film that, at its core, was at least fun. But once you observe the details more and more, the film falls apart with a not-so-clean and non-sensical screenplay that simply fails as a heist film. Five years, eight months, 12 days. That’s how long Debbie Ocean (Sandra Bullock has been concocting the greatest heist ever inside a prison. She knows that her plan should work but it is going to take a team of the best in their field, starting with her former partner-in-crime Lou (Cate Blanchett). 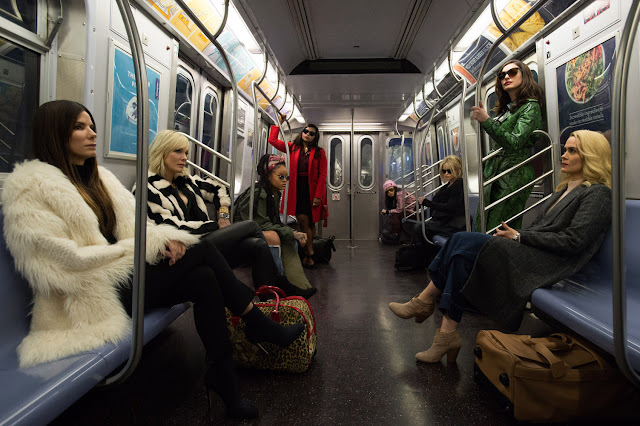 Together, they recruit a crew of specialists: jeweler Amita (Mindy Kaling); street con Constance (Awkwafina); expert fence Tammy (Sarah Paulson); hacker Nine Ball (Rihanna); and struggling fashion designer Rose Weil (Helena Bonham Carter). The target is the Toussaint necklace by Cartier worth $150 million. Their plan appears rock solid, but it will not be easy as their target will be heavily-guarded and in plain sight. "Ocean's 8" as a spin-off to the Ocean's trilogy mostly works. It found ways to harken back to its past while maintaining an independent story that could stand on its own. "Ocean's 8" most importantly was able to capture the unique cinematography style that the original trilogy was known for. The ensemble cast was mostly great. You could tell they were having fun making the film and the chemistry was on a very high-level. We are hard-pressed to find someone out of the eight who stood out as all of them had awesome performances as their characters on the big screen. What literally kills it for "Ocean's 8" though was its screenplay. While the heist itself was interesting, the implementation was haphazardly laid out. At times, the film turns silly as the scenarios ramp up to nonsensical levels the film forces you to think that the heist was a cool, clean and smart getaway but you know as the audience that it wasn't. There were several scenarios that could not have worked and it's this factor that ruins "Ocean's 8". You watch a heist film not just for the fun of it but for the illusion that the scenarios themselves are possible to pull-off - to make the impossible possible. Sadly, "Ocean's 8" does not have this "it" factor.